The federal criminal investigation into New Jersey Sen. Robert Menendez is broader than previously known, NBC 4 New York has learned. The Department of Justice is investigating Menendez's efforts on behalf of two fugitive bankers from Ecuador, multiple current and former U.S. officials tell NBC 4 New York. The probe into the Democrat’s dealing with the bankers comes as federal authorities are also investigating his relationship to a big campaign donor from Florida. The criminal investigation is focusing in part on the senator’s ties to William and Roberto Isaias, and whether the senator crossed a line in trying to help the two brothers stay in the United States. The Isaias brothers have been fugitives from their native Ecuador for more than a decade -- sentenced in absentia for embezzling millions as the bank they ran there was collapsing. The Isaias brothers now live in Coral Gables, Fla., running several successful businesses, and they have never been charged in the U.S. But back home in Ecuador, they’re wanted men. Back in the 1990s, outraged Ecuadorians took to the streets demanding their money back after several banks collapsed, including the country’s largest, Filanbanco, which had been run by the Isaias brothers. An auditor’s report for banking authorities in Ecuador found Filanbanco lost hundreds of millions of dollars. In 2005, U.S. Ambassador to Ecuador Kristie Kenney wrote a cable to the State Department saying the Isaias brothers absconded “with $100 million" and "used their ill-gotten wealth to buy safe passage from Ecuador." The ambassador recommended the Isaias brothers be kicked out of the United States. But to date, the Justice Department says Ecuador’s government, which has been at odds with the U.S. in recent years, has not provided enough evidence to warrant extradition. "The fact that the Isaias brothers continue to live a life of luxury in the U.S. while their account holders are suffering in Ecuador has been a constant concern between the U.S. and Ecuador since their flight," said Linda Jewell, a former U.S. Ambassador to Ecuador. In 2010, Ecuador had Interpol issue international arrest warrants. Their lawyer says that the brothers are innocent and are appealing their convictions, and that they did not steal any money and are actually victims of political persecution by Ecuador’s government. “And that is the problem of the Isaiases, that they have committed the crime of being rich in a poor country,” said their attorney, Xavier Castro Munoz. Ecuador has seized many of the Isaias brothers’ assets in that country. But so far, a court in Florida has rejected Ecuador’s efforts to seize assets inside the U.S.
For years the Isaias brothers have been seeking permanent residence in the United States. Officials say they turned to the powerful New Jersey senator for help. Multiple officials say Menendez wrote letters and made phone calls to the Department of Homeland Security and the State Department in support of the brothers. The former head of the FBI in New Jersey says such letters and calls are not the normal practice. "It's shocking,” said Weysan Dun, the former special agent in charge of the FBI’s New Jersey office. “I think most people would know and would believe that it be appropriate to keep your distance from individuals who are convicted of crimes in their homeland." 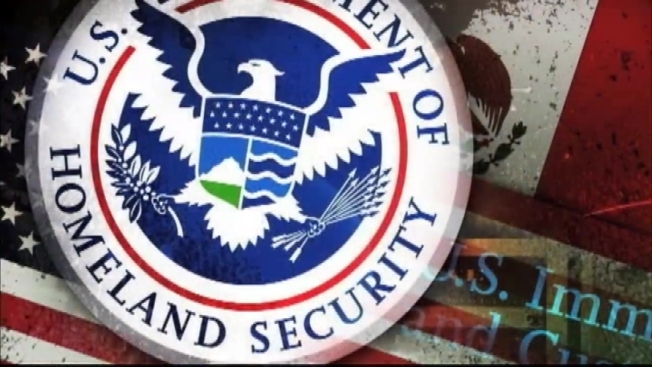 On April 2, 2012 for example, officials say, Menendez personally wrote high-ranking Homeland Security official Alejandro Mayorkas, asking that the brothers get "full consideration" and that the Department of Homeland Security "expedite its review." Investigators say they want to know whether the senator attempted to influence immigration officials in 2012 in exchange for campaign donations. A spokeswoman for Menendez said in a statement: "Our office works each year with literally hundreds of individuals and families from across the country who are seeking help with the immigration process. We review each and every request we receive, and if we feel any inquiry is appropriate, we make it. "In this particular case, Sen. Menendez believed the Isaias family had been politically persecuted in Ecuador, including through the confiscation of media outlets they owned which were critical of the government," said the spokeswoman, Tricia Enright. "We are not aware of any inquiry into the senator’s actions on this matter." Reached by phone, Roberto Isaias said that, as a non-resident of the United States, he cannot make donations to a U.S. political campaign and that he does not have anything to do with any senator or politician. Federal election records show relatives of the Isaias brothers who are residents donated more than $10,000 to the senator’s 2012 campaign. And records show that the family of Roberto Isaias also donated at least $100,000 to the Democratic party in 2012. Campaign donations could be one area of interest to investigators from the Justice Department, said Scott Fredericksen, an attorney who prosecuted federal corruption cases for the Justice Department. “If the government, when they look at this, can establish that in exchange for donations from citizens not from this country, of gifts, that the senator took official action that benefited them, now, now we're talking about something potentially illegal,” Fredericksen said. So far, authorities have not filed any charges. And legal experts say it can be tough to prove that kind of case. “For Sen. Menendez, who is chair of the Foreign Relations Committee, to be involved in something that has a foreign component and might raise concerns about the national interest with other countries, this is an incredibly serious matter,” said Sheila Krumholz, executive director of the Center for Responsive Politics. Krumholz says Menendez’s relationship with Florida eye doctor Salomon Melgen, a major campaign donor, is also a serious matter. Federal investigators have searched Melgen’s offices twice in connection with an $8 million Medicare billing dispute. Separately, they are looking into whether Menendez improperly advocated for the doctor in that dispute. They are also looking into whether the senator acted improperly to help Melgen with a deal to secure a port security contract in the Dominican Republic. The senator has said he did nothing wrong. Menendez said he called Medicare to raise concerns about conflicting guidelines and supported the port security deal because it could help stem the flow of drugs to the U.S.
Melgen, too, has denied any wrongdoing and is suing Medicare alleging that the agency has wrongly accused him of overbilling. Last year, Menendez reimbursed Melgen $58,000 after news broke that he took three trips on Melgen’s private jet -- two of them to the luxury resort of Casa de Campo in the Dominican Republic. --Donna Mendell, Polly DeFrank, Joseph Valiquette, Richard Esposito, Robert Dembo, Tom Winter, Kevin Monahan and Evelyn Gruber contributed to this story.